The problem with taking a vacation is that, alas, you eventually have to come home. And given the ubiquity of smart phones and wifi access, you’re never really “away” to begin with. This is good and bad, of course. When you have capital at risk, you need to be able to trade in a hurry if events take an unexpected turn. This is particularly true if you manage money for others; clients have to know that their advisor is keeping an eye on their accounts even if he is desperately trying to relax in his beachside cabana with a cigar and a mojito. Which is, incidentally, how I spent the better part of last week. The wife and I dropped off our two year old with the inlaws and made a quick getaway to a secluded resort on Peru’s northern coast near Mancora. Or at least it used to be secluded. A short walk down the beach was a brand new (and much larger) resort, and business was booming. If you’ve never heard of Mancora and have never considered Peru as a beach destination, there is a reason. As beautiful as it is, it’s not particularly easy (or cheap) to get to for Americans or Europeans, and Peru lacks the internationally-recognized beach culture of, say, Brazil or Mexico. All of this brings me to the point of this article. Unlike many resorts in the tropics, Peru’s beach resorts tend to attract the country’s native citizens. And as incomes rise in Peru and more and more middle- and upper-class Peruvians enjoy the disposable income for a beach holiday, coastal Peru is enjoying quite a boom. Prices at the nicer resorts start at around $100 per person per night, which is no small sum of money in a developing country. And prices have continued to rise even as the number of beds available has exploded. The same can be said of urban Lima. As demand for upscale apartments in the trendy Miraflores and San Isidro districts has far outstripped supply, construction has spilled over into neighboring districts. And in Trujillo, the northern city where my inlaws live, the rate of new construction is such that I hardly recognize the place each time I visit. The rise of Peru’s middle classes—and of their contemporaries across the developing world—is real. The question is how we can profit from it as investors. Most emerging market funds and ETFs tend to be heavily weighted in resource companies and banks that lend to resource companies—hardly the kind of exposure we are looking for. Emerging Global Advisors has taken a big step towards remedying this with its popular Emerging Market Consumer ETF ($ECON) and Emerging Market Domestic Demand ETF ($EMDD), both of which invest exclusively in emerging-market companies with exposure to domestic consumers. I believe both ETFs are good candidates for the emerging-market allocation of your portfolio. Another approach I like is getting access to emerging-market consumers indirectly through the shares of attractively-priced American and European companies that get a large percentage of their sales from emerging markets. Companies like Dutch megabrewer Heineken ($HINKY) and Anglo-Dutch consumer products company Unilever ($UL) would certainly fit the bill. As I wrote in early August, emerging markets are attractively priced and, for the most part, out of favor. This would seem to me to be a fine time to “risk up” by adding a little more emerging market exposure to your portfolio. Oh, and if you feel like doing a little primary research, northern Peru is pleasant this time of year. Disclosures: Sizemore Capital is long ECON, HINKY and UL. This article first appeared on MarketWatch. 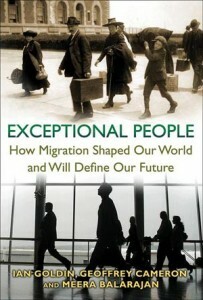 The following is a review and analysis of Exceptional People: How Migration Shaped Our World and Will Define Our Future, by Ian Goldin, Geoffrey Cameron and Meera Balarajan. In a U.S. election year, the subject of immigration is a controversial topic; kudos to the authors for stirring up a little controversy. “We live in a dynamic age of global integration, where the reconnection and mixture of the world’s people is challenging dominant norms and practices in many societies,” write Goldin, Cameron and Balarajan. “Disintegration and integration are simultaneous and interwoven. Cultural codes adapt. New economies emerge. Innovation prospers. Social institutions struggle to adapt. The authors use eloquent words to describe a delicate topic. Immigration—legal or otherwise—is a lightning rod, particularly in an election year. It could be lumped with politics and religion as a subject best not discussed at the dinner table unless, of course, you enjoy a good case of heartburn. Immigration is also a subject in which political and ideological lines tend to get a little blurry. Neither party has a coherent platform on the issue. In the Republican Party, there are two distinct camps: the “pro-business” party elite who favor a looser immigration policy and the “blood and soil” base who would like to see the border sealed air tight. For the business lobby, a liberal immigration policy means abundant and affordable labor. But at the nativist grassroots level, restricting immigration has become a do-or-die mission to preserve American values; taking a soft line is something tantamount to treason. If it were possible to feel pity for a politician, one might feel sorry for a Republican candidate attempting to navigate this minefield. You need the votes of populists to get elected, but you also need the campaign donations of the business community. You can’t keep everyone happy, and there is not a lot of room for compromise. While immigration is less of a campaign issue for Democrats, the Democratic Party is no less conflicted on the subject. As a party dedicated to looking after the downtrodden, supporting the plight of immigrants only makes sense. But this is also the same party that supports organized labor, and cheap immigrant labor is anathema to unions. One’s liberal heart might bleed, but it won’t matter much if you need union support to get elected. Furthermore, immigrants themselves cannot vote (at least not until naturalized as citizens), whereas union supporters do. When push comes to shove, it’s not hard to see which way most Democrats will vote. I tend to take a contrarian view on immigration: given the demographic challenges the country faces, America needs more of it—a lot more of it. Most politicians—and economists too, for that matter—only look at the “supply” side of the equation, viewing immigrants as labor inputs. I tend to focus instead on the “demand” side, viewing immigrants as consumers. Contrary to rantings of many a radio talk-show host, immigrants do not “send all of their money to (fill-in-the-blank name of country).” Quite a bit of it gets spent here. And given the dearth of consumer demand in the years following the 2008 crisis, we’ll take consumer demand from any source we can get. With all of this as an introduction, in the pages that follow we are going to review an insightful new book on the subject of immigration by Ian Goldin, Geoffrey Cameron and Meera Balarajan: Exceptional People: How Migration Shaped Our World and Will Define Our Future. Exceptional People is an exceptional book. It is part history book part psychological profile and part political manifesto for free trade and free movement of people. The authors repeatedly stress the point that the movement of ideas, goods and services, and—yes—people has been the driving force for human progress over the centuries. The very idea of civilization itself—people living together in community—involved migration. And the future, however it might unfold, will be defined by how trade and migration are managed today. As the authors point out, immigrants to the United States founded many of the cutting edge technology firms that have defined the past decade, including Google ($GOOG), Intel ($INTC), PayPal, eBay ($EBAY), and Yahoo ($YHOO). And more than a quarter of all global patent applications from the United States are filed by immigrants—even though immigrants make up less than 12 percent of the population. A world with less immigration will be a world with less innovation. If all of this is true and immigration is such a wonderful thing, then why do so many people feel threatened by it? As the authors explain, immigration suffers from the same primary challenge as free trade. The benefits are spread out across the general population and are difficult to isolate and measure, whereas the costs tend to be highly visible and localized. Well said. It’s not so much that low-skilled immigrants do jobs that Americans won’t do; it’s more like they create jobs that didn’t exist before. Without the presence of affordable immigrant labor, Americans might simply do their housecleaning and yard work themselves, which takes time away from more productive activities. Of course, not all immigrants are low-skilled. “Highly skilled migrants typically work in growing sectors of the economy, or in areas such as health care, education, and information technology that are short of native workers.” One need only look at the diverse workforces of technology hubs like Silicon Valley or Austin, Texas—or simply visit their local hospital—to understand what the authors are saying. Immigrants are also beneficial to the countries they leave behind. In addition to sending cash remittances to family, immigrants also often return home with knowledge and experience from their time in a foreign country. The authors gave an example that I personally found fascinating. Being married to a Peruvian, I make several trips to Peru each year. Scattered around Lima is a chain of chicken restaurants called Norky’s. “The incentives for brain gain in sending countries may also be supported by skilled migrants who have worked abroad and return home to foster new industries. The point is illustrated by the story of Luis Miyashiro, an entrepreneur in Peru. “Miyashiro is a Peruvian national who moved to Japan for several years under the Nikkeijin visa program, designed to attract those with ancestral connections to work in Japan. After several years in Japan, he returned to Lima and founded Norkys, a chain of chicken restaurants. The new chain renovated the food-stand concept that is popular in Lima by adding Japanese standards of cleanliness and efficiency. The new fast food chain was launched with ideas and capital from Japan, and it was the first of its type in an Andean country. For every household name like Norky’s (well, household in Peru, anyway), there are countless smaller success stories. Of course, trade protectionism exacerbated the Great Depression and helped lead to World War II. It wasn’t until after the war that policymakers began to seriously consider immigration again. But during this second age of globalization, things would be different. Immigration would not be considered a God-given right of mankind, but rather as an issue to be managed by government. For many readers, Exceptional People will be controversial. As I noted at the beginning of this article, immigration is a divisive issues that tends to get an emotional response. I encourage our readers to give the book a read and to keep an open mind. I am certainly not an ideologue and concede that in the age of the modern welfare state immigration is more expensive to receiving countries than it used to be. But at the same time, the economic issues facing the country are different than those of ages past. In America—and even more so in Europe and Japan—how will the state be able to keep its pension and health promises to retiring workers without a steady stream of new immigrant workers contributing to the system? How can we keep the economy growing when the Baby Boomers—the biggest and richest generation in history—are spending less and saving for retirement? There are no perfect solutions to these problems, and immigration alone will not solve them. But given the severity and importance of the issues, we can use every bit of help we can get. Ah, to be back in South America. Long-time Trading Deck readers might recall that I spend a fair bit of time in Peru (see “Going Long Two Beaten Down Euro Stocks”). When you marry a Peruvian, you don’t really have a choice. I was recently in Lima with the wife and kid to root for my father in law, Lucho Vasquez, in the Concurso Nacional, the once-per-year national championship for Peruvian paso horses (see “Paijan and the Legendary Peruvian Paso Horse”). The Vasquez family have a long history of success as breeders, and last year Lucho won the prize for Champion of Champion stallion (LV Jardinero, the horse on the left in the photo below). Alas, 2012 would not be a repeat. The best stallion this year belonged to long-time breeder Alfredo Elias Vargas. Oh well. Can’t win ‘em all. During rough economic times, there are two basic ways to run a successful business. You can go the Walmart (NYSE:$WMT) or Amazon (Nasdaq: $AMZN) route of providing basic goods and services that people need regardless of the state of the economy. Or, you sell a specialized niche product to a dedicated core of consumers that is not sensitive to price. With a niche product like high-end Peruvian Pasos, you have a base of aficionados so fanatically dedicated to the breed that nothing short of death or incapacitation will cause demand to fall much. Sure, at the margin, there will be the occasional aficionado who has to cut back his operation due to business setbacks elsewhere. But for the best horses, demand simply doesn’t fall. I’m not recommending that readers run out and buy a Peruvian horse (unless, of course, horseback riding is a passion of yours). A breeding operation can be a fantastic investment. 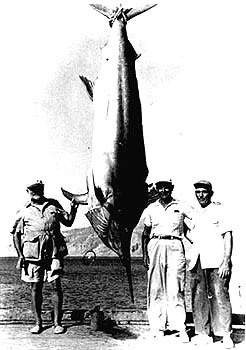 But making it so requires years of experience and massive initial capital outlays for land, labor, feed, and—most importantly—high-quality breeding stock. For the vast majority of breeders, Peruvian horses are a luxury expense. Afición isn’t cheap. Instead I want to draw broader investment conclusions from recent developments in the world of Peruvian horses. While I am not aware of much in the way of Asian interest, I’m sure it’s coming. Chinese companies are active all over South America, and it is just a matter of time before a Chinese investor decides to “go native” and buy a ranch. This fits into my investment theme of luxury goods as both a play on the rise of emerging markets and on the rise of the global nouveau riche (see “Profiting from the Art Boom”). While the middle class continue to suffer with impaired home equity and stagnant real wages, the world’s wealthy are doing just fine. The crisis in Europe notwithstanding, corporate profits are at all-time highs. It also makes a case for alternative investments with little correlation to global stock markets and relatively little exposure to the bends and twists of the global economy. In a global bust, a champion horse will hold its value better than most financial assets. This was certainly the case during the 2008-2009 meltdown. Based solely on the prices paid for top-quality horses, one might not have noticed there was a crisis at all. Of course, it helps that horses are rarely purchased with debt and that hedge funds have thus far ignored them. The day I see a solicitation for a hedge fund or ETF that buys Peruvian horses, I’ll probably cry a little. Just wait…that day will come. If you take away one lesson from this article, it should be this: If you want stability, buy assets that are not held by others with excessive debt or that have been “financialized” with ETF issues. The financialization of commodities and other previously-uncorrelated assets has caused correlations to shoot upward in recent years and has been a major contributor to the upswing in volatility we’ve had to endure (see “The Myth of Commodities Investment”). Everything is correlated to the stock market now because everything is traded on the same exchanges by the same people with the same borrowed money. Diversification is dead. As for your capital that is invested in traded financial assets, use their inherent volatility to your advantage. Buy investments that no one else seems to want. As an example, with Spain’s stock market near its 2009 lows, many Spanish blue chips are trading at prices we may never see again in our lifetimes. My favorite? Telecom giant Telefonica (NYSE: $TEF). Roughly half its revenues come from the high-growth markets of South America, and it pays a dividend that could be cut in half and still be one of the highest-yielding stocks in Europe.